Confidential waste disposal is crucial. Failure to comply with new data protection laws issued by the Information Commissioner’s Office can lead to penalties of up to £500,000, not to mention the damage done to reputation and customer relations. If your business handles personal or sensitive data, you have a responsibility to keep it safe from identity theft and data breaches. That means following strict protocols for destroying confidential information or documents with sensitive data. Colson have been dealing with the safe secure shredding and disposal of data and documents for many years and would be happy to work for you. 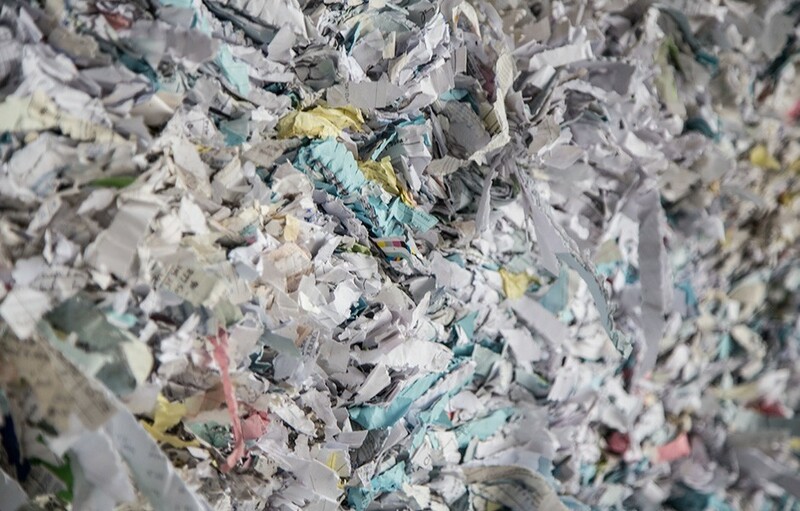 Colson bulk recycling service is an ideal way to clear office space and securely get rid of all the cardboard, print and packaging that’s no longer needed. No matter how much cardboard or print waste you generate, we have a convenient and cost-efficient way for you to securely dispose of it. Not only do we offer the reassurance of secure destruction, we can also help your company work towards its environmental targets, too. In keeping with ISO 14001 accreditation, we aim to recycle 100% of non-contaminated waste.